After years as a self-styled world adventurer, journalist, pleasure-seeker and author, Fred Poole found it a matter of life or death that he confront his past. Not just times spent in foreign war zones but a journey into earlier and more profound danger in the deceptively WASPy world he came from. The Aqua Mustang is his story of this precarious if rewarding adventure. For ordering and other information about Fred’s book The Aqua Mustang click here. The Imposters is a dynamic memoir, a rarity. Delicious, suspenseful and a great read. I looked forward to every chapter. 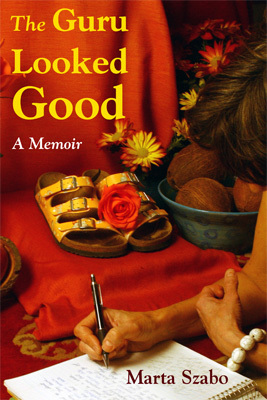 A gripping, fierce and elegantly written story, The Guru Looked Good is a must-read for anyone who has ever participated in a toxic relationship of any kind. 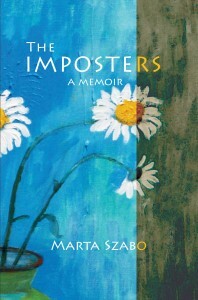 Marta Szabo’s memoir hit me like a bolt of lightning – her writing is so direct, forthright, uncluttered. The impact is immediate, compelling – really a page turner.